Somehow, since I got back from vacation I have been waking up before the alarm. This in itself is amazing because I am not a morning person; AT ALL! But that is a side note. 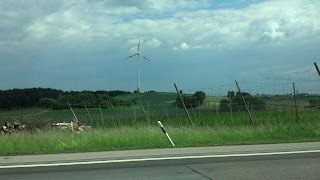 While I felt awake and energized, the energy of interest to me is the noticeable differences in production between the States and in Germany, the country I just came back from. 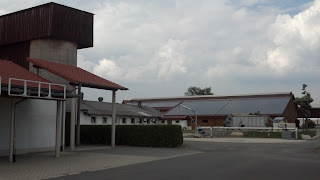 When passing a small town there would be 1 or 2 houses that would utilize roof mounted solar panels. Just from my own estimation, eyeballing it, I would guess 5% of homes were set up. Barns utilized it much more. Several would have every square inch, or centimeter, covered. And while driving on the Autobon, several plots of land were utilized as solar farms. Several Homes Utilized Solar Energy. Sorry for the flash. 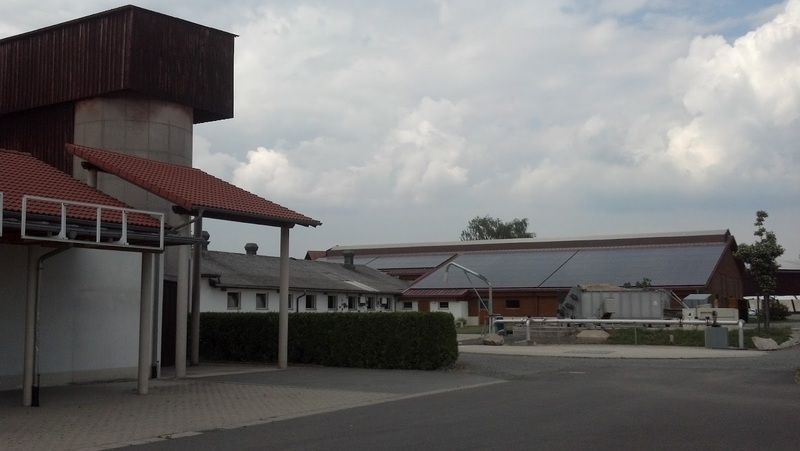 Barn Roof Entirely Covered with Solar Panels. 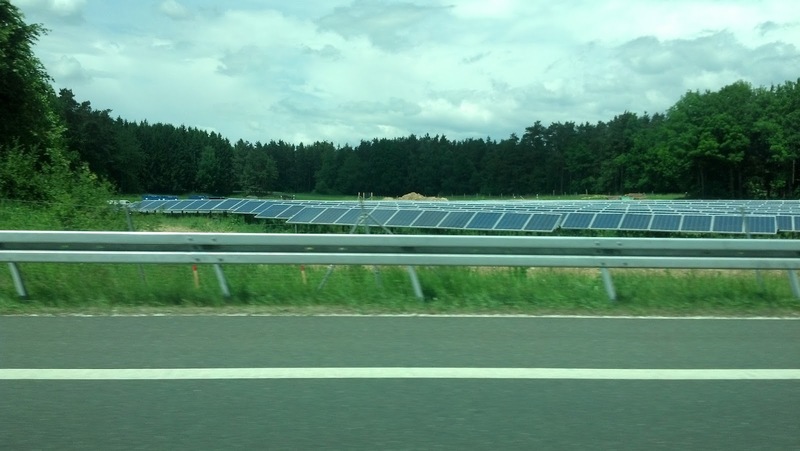 A Solar Farm Along the Autobon. 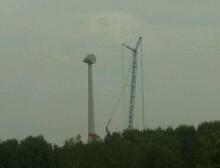 Another source came from wind turbines. Contrary to the opinions of many people, I did not view them as an eye sore. The placement, fluid shape, and overall structure give them a feel that they would be as out of place as a flower in nature. When several of them are in motion together it adds the appeal of a choreograph. There was a point as we were on the highway that we passed a truck next to the road hauling one of the massive propellers. It looked like an impossibly long burden for the truck to maneuver. 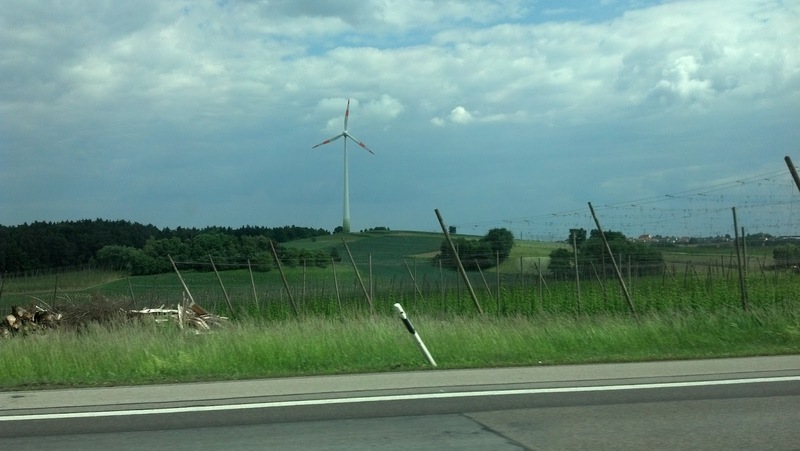 A few miles farther we saw the stalk of an unfinished wind turbine. Rather than beauty this time, the main emotion was one of engineering accomplishment perhaps akin to an ancient society erecting a monolith. Most of the time all were busy supplying power to their people. There was however a still day where little motion could be observed and that gave the feeling of a wilting flower, or of someone tripping on stage, and most importantly to the majority of people, of their tax dollars being wasted. This is the tragedy of the human condition. Even though I witnessed them producing energy most of the time, people will treat the seldom wasted hours like a friend after a horrible spat. It is irrational, but we focus on the negatives and destroy a beneficial relationship. One of the major topics on the news in Germany was referred to as Energiewende, or 'Energy Revolution'. In 2010, the parliament passed legislation to extend the life of 14 nuclear reactors. The following year, after the Fukushima nuclear fallout disaster, Chancellor Merkel took action to reverse that decision. The new regulation would phase out nuclear reactors. Renewable subsidies would also be phased out, and instead, a system of punishments and rewards would be placed on companies. Those that have a large negative impact on the environment would be taxed greater while companies that make efforts to lessen their impacts would be taxed less. The move seems beautifully handled. 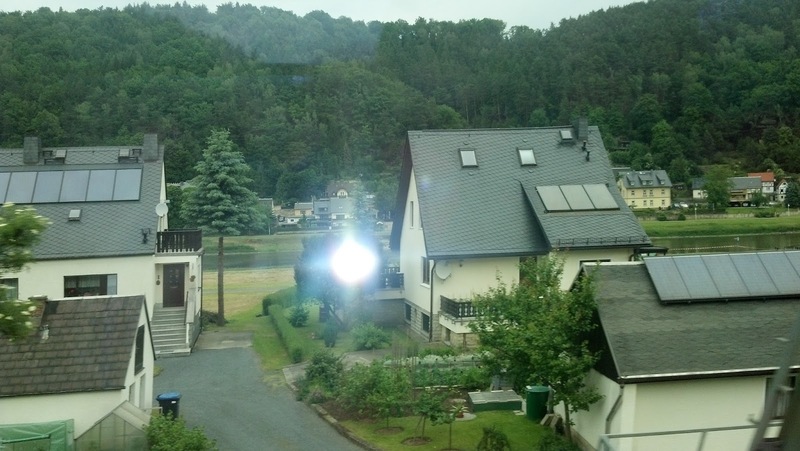 As I said, my calibrated eyes saw about 5% of residential houses had some form of solar power implemented. Without having much quantitative reasoning behind this, that seems like a good time to phase out subsidies. By that time, an individual is no longer an oddball, environmentalist nut taking chances on an unproven industry. It gives the nudge to spur initial corporate interest in pursuing solar development, and as the residential subsidies are phased out, corporations begin to take interest in installing solar systems themselves. It gives Germany the push to become a major competitor in an fledgling market. In a world where oil and gas reserves will be gone in a hundred years* this push will likely be a great investment. 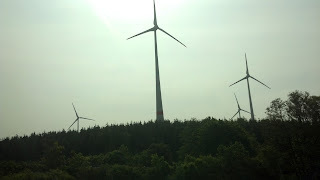 Yes, I am an American swooning over the energy practices of Deutschland. The timing of the disaster allowed it to be politically possible for a time. I applaud Merkel's current actions. The headlines are already questioning her move towards a sustainable energy future. Her personal question will be how to sustain her demographic in the coming years. There is an on going land grab for the arctic. With so much ice it is difficult to get at the vast swaths of land that are all but gushing with oil. However, the ice caps are showing signs of retreating. So every year it becomes a more plausible option for the oil tycoons to pursue. Plus, it would make a great documentary for the environmentalists. Instead of showing the usual scenes of oil wells 50 feet from a family's house as companies take advantage of subsurface land rights, or ghost towns that are oil soaked deserted wastelands, the white arctic ice sheet would offer a nice contrast. Oceanic drilling is another popular option. By having pumps out at sea where few eyes can see, few mouths can question, and few media can be heard; companies have much less to fear. The corporate risk, which in effect CEO's are bound by law to follow to maximize benefit to the shareholders, is much less than the risks posed to the environment. So, 'a hundred years' is a very speculative term. Many assumptions are made to arrive at it. There is no need to worry that families in the future will have a shortage of fossil fuels. That is of course, as long as you are willing to make other sacrifices.